New for 2018 is our very own Sweetie box crammed full with sugary goodness. All the best retro sweets packed in one box! All the family favourites are present including drumsticks, love hearts, sherbet lollies and much more presented in a wooden box. Included are 500 grams of the very best retro swizzels sweeties. 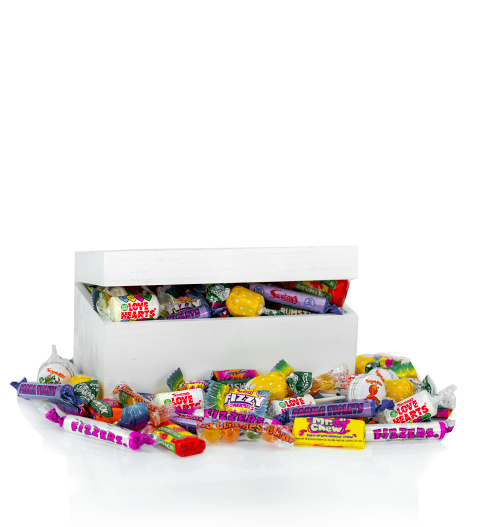 The Sweetie box is available for UK delivery.